I’m pretty sure these don’t look quite this good in real life. 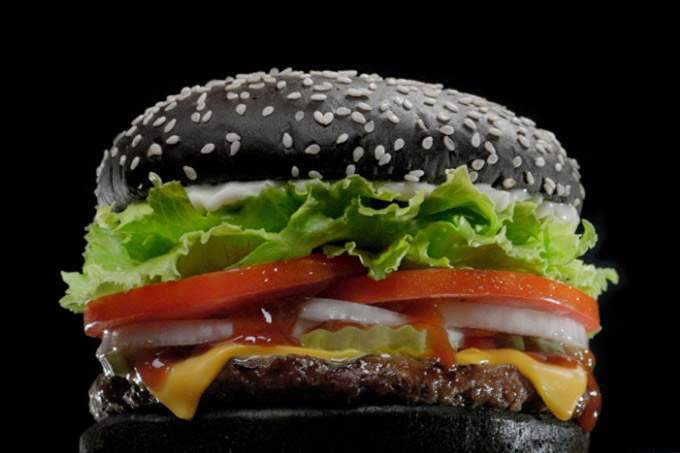 Since it’s October, and because things are supposed to be scary, Burger King has created the scariest of all food items: a black Whopper! Technically it’s called the A.1. Halloween Whopper, but after looking at it, and reading about what it does to you AFTER being consumed, I’m going to call it the Whopper of Death. Although, I should probably call it the A.1. Halloween Whopper of Death to ensure that it doesn’t get confused with the regular Whopper of Death which doesn’t have a black bun but still will kill you if you eat enough of them. By the way, The Generic Geek Podcast is back with episode 4! As you may have guessed, we talk about fast food and what it does to one’s body. We also discuss Salt Lake Comic Con 2015, the newest iteration of DC’s Red Tornado, some Star Wars: Episode VIII rumors, and how one of the Batman creators is finally getting the credit he deserves. Hayden Christensen to reprise role as Darth Vader? Special thanks to Schmidty for filling in this week as Collin suffered a tragic death at Comic Con. Hopefully, he gets better in time for next week’s episode.